“Dr. 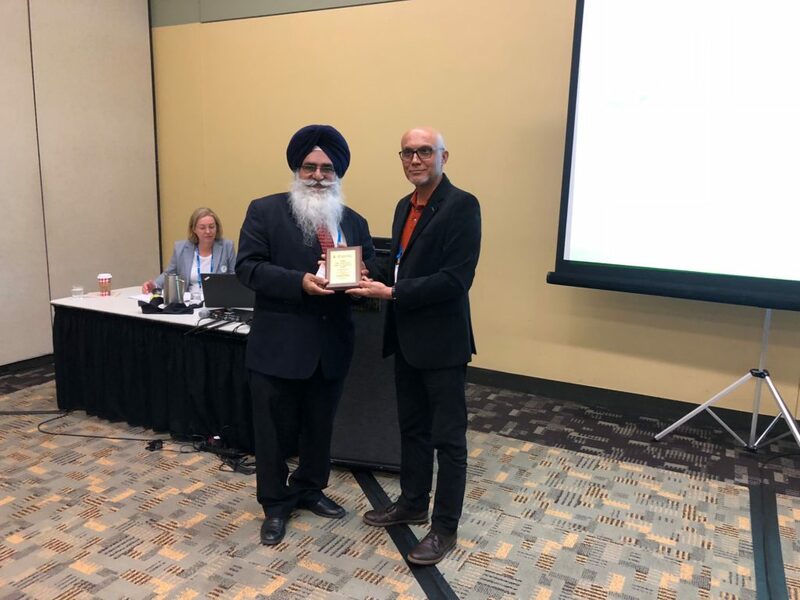 Tarlok Singh Sahota, the director of the Lakehead University Agricultural Research Station, has been named the winner of the Canadian Society of Agronomy (CSA) Fellow Award 2018. The award goes to someone who has been a member of CSA for at least 10 years and has made a significant contribution in the field of agronomy. Candidates are nominated by another society member and must have at least three letters of support in favour of the nomination. Dr. Sahota was nominated by Agriculture and Agri-food Canada researcher Dr. Yousef Papadopoulos and support from Dr. Tom Bruulsema, Dr. Shabtai Bittman, and Dr. Rigas Karamanos. He holds a PhD in agronomy from Punjab Agricultural University (PAU) in Ludhiana, India and has held a number of research and industry positions in Canada, India, and Nigeria. Along with being a member of CSA, Sahota is also a member of the American Society of Agronomy, the Ontario Certified Crops Advisors, the Ontario Soil and Crop Improvement Association and holds life member positions in the Indian Society of Agronomy, the Indian Society of Soil Science, and the Indian Potato Association. He was nominated for the CCA Award of Excellence in 2017. Dr. Sahota has published 47 peer-reviewed research papers as well as many conference presentation and extension papers. His nomination noted his significant contributions to Ontario agronomy, including introducing new high-yielding and crop varieties, such as the alfalfa alternative Galega, evaluating macro and micronutrient strategies, tillage systems and rotations, and conducting annual yield and performance evaluations of a wide range of crops. The nomination also noted that, based on his work on winter wheat, Agricorp included this crop for crop insurance in Northwestern Ontario.